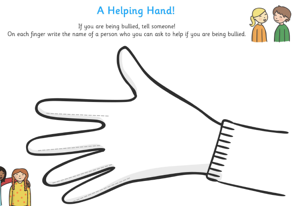 This week we talked about if you are being bullied who you can talk to in school. We also talked about how to be a good friend. We introduced a ‘Kagan’ structure called ‘Stand up, hand up, pair up’. This helps us to choose a partner to work with. 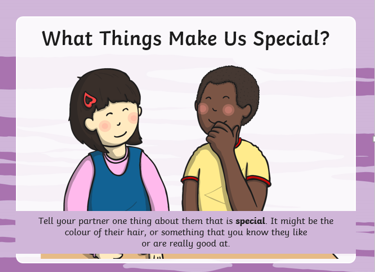 We looked at our partner and had to tell them something that made them special. 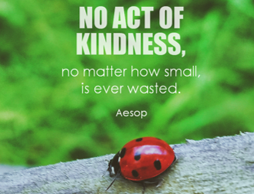 The children were very kind and caring during this activity, it was a pleasure to watch and listen to their ideas!